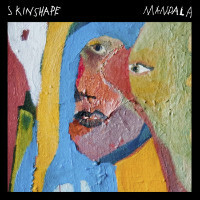 Mandala is Will ‘Skinshape’ Dorey’s new single and while it might be named after an ancient eastern symbol for the universe it’s actually a sprawling, vaguely Morricone-esque slice of psychedelic instrumental hip-hop that comes on like every sonic reference you’ve ever heard to spaghetti westerns all wrapped up with sixties west coast psychedelia. You know – a bit like The Heads Of The Family being asked to cover the theme to Once Upon A Time In The West and then the result of that being sampled by Portishead. Not that there are any samples on here though – it’s either Dorey or his mates playing!